In my best travel deals this week I have last minute deals from €143, a family break at Easter, Summer in Lanzarote, Dubai and Rhodes, an amazing cruise and an all inclusive deal to the Maldives. Take your pick from GoHop’s amazing last minute deals. 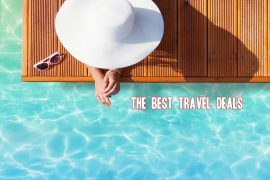 Choose the Algarve from €143, Malta from €171 and the Costa del Sol from €191. All prices include flights and seven nights accommodation in a four star apartment or hotel. Kickstart your Summer with a week at the four star Sands Beach Resort in Lanzarote in May. This is a steal at only €379 for 1 week! Price includes Aer Lingus flights, airport transfers and accommodation for seven nights. The best part? A €1 deposit secures your booking! 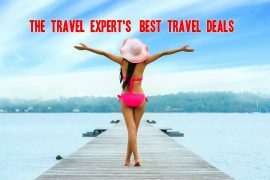 Use my promocode TRAVELEXP10 to save a €20 per person off the advertised price of €399. Now that Christmas is over, its time to plan an Easter break! This amazing deal to the highly rated Sanguli resort in Salou is superb! Fly from Dublin on the 28th of March and enjoy a seven night stay in a 3 bedroom mobile home, with 2 day park passes to Port Aventura for only €1098 based on 2 adults and 2 children or €1272 for 2 adults and 3 children. Enjoy a week in the Greek island of Rhodes this summer. Stay at the highly rated ( no 1 on tripadvisor ) Cosmos Maris apartments for only €477 on the 25th of July. Price includes flights, transfers and checked baggage and a deposit of €75 secures a booking! All inclusive in the Maldives for €1489! This is an amazing price that includes flights, speed boat transfers and a seven night stay at the stunning Ellaidhoo Maldives by Cinnamon Resort. Tempted? I absolutely love this itinerary! Combine the music cities of America – Chicago, New Orleans and Memphis with a Caribbean cruise around Mexico, Honduras and Belize! This two week holiday includes hotel accommodation for seven nights and a seven night cruise on a full board basis, all from only €1729! Fancy a quick trip to Dubai? Spend three nights at the highly rated Arabian Park hotel, with direct flights from Dublin for only €495! Yes you read that right! Price is based on the 24th of May but other dates and durations are available.